Our Education Department is always up for a creative challenge, so we celebrated today’s holiday by dressing up our pumpkins in their DMA finest for our annual Great Pumpkin Contest. 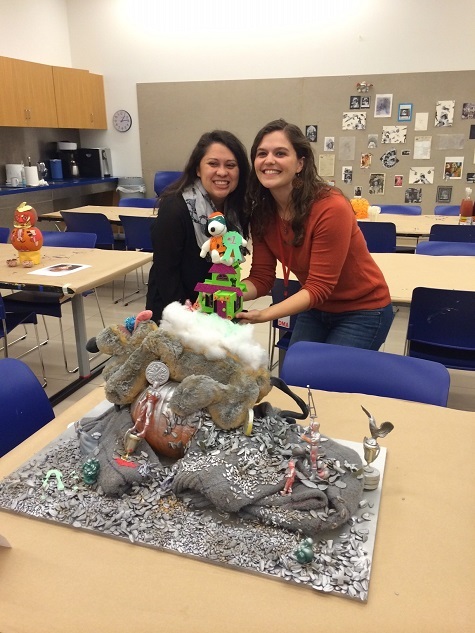 Competition was fierce, but the winning, Linus-approved trophy was awarded to Emily and Jennifer, for their take on everyone’s favorite, somewhat creepy, DMA toddler, Dorothy. Check out all the terrific submissions below. Happy Halloween! Education staff celebrated Halloween with some festive pumpkin decorating fun this afternoon. For our second annual Great Pumpkin Contest, we had a spirited pumpkin patch full of artistic gourds sure to knock the socks off of Linus himself. But there can be only one winner, and this year that honor went to Jessica Fuentes and Jessica Thompson, for their detailed interpretation of The Minotaur. Snoopy was so proud.